Quickly and easily add grommets to murals, backdrops, and more with the GAP Econo Self-Piercing Grommet Machine — without the need to pre-punch a hole. This machine may be economical, but it's built to last. 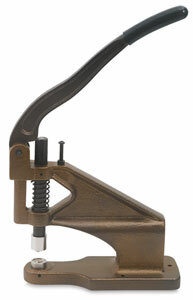 Made of cast iron, it features a lever mechanism that's as simple to use as a stapler. Simply place a grommet on the top die and a washer on the bottom die, position your work, and then pierce. 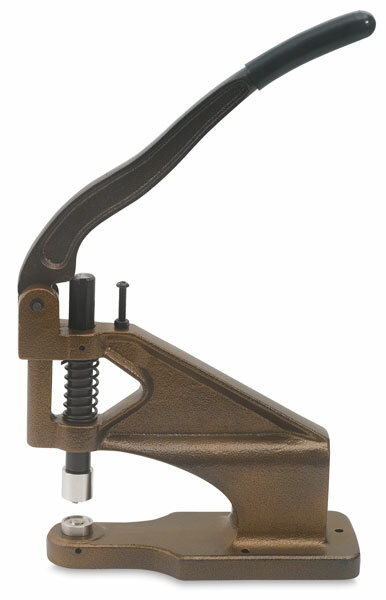 The lever has a rubber grip for comfort. The GAP Econo Self-Piercing Grommet Machine comes equipped with one Size 2 die. Additional dies in Sizes 0, 1, 2, and 3 are sold separately.